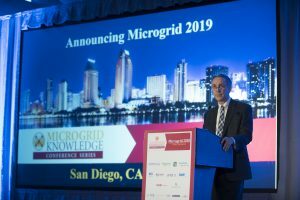 Microgrid Knowledge will hold Microgrid 2019, its fourth industry conference, May 14-16 in San Diego. A gathering of industry leaders, the conference will focus on microgrids, nanogrids, virtual power plants, energy storage and other distributed energy resources driving energy decentralization. Microgrid 2019 follows Microgrid Knowledge’s highly successful conferences in New York City, Boston and Chicago, all part of the online publications mission to advance microgrids. “We want to help ignite excitement and advance knowledge about this life-changing energy technology worldwide. San Diego is our next step in moving from East to West across the US,” said Elisa Wood, editor-in-chief of Microgrid Knowledge. Wood noted that the microgrid market is forecast to grow to $23 billion in 2021, up from $12 billion in 2016, according to research by GlobalData. 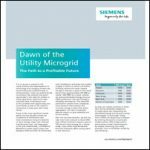 Microgrids are a central part of the larger distributed energy industry that Navigant Research sees developing into an $182 billion market by 2023. A global clean energy leader and the fifth largest economy in the world, California is one of the most vibrant markets for microgrids. Strong government support in the way of grants and policy guidance, along with innovative utilities and technology companies, buoy the state’s position. Microgrid 2019 will focus on uncovering the microgrid market opportunities in California – and worldwide – and will delve into business models and distributed energy innovations driving the industry forward. Conference participants will range from top industry leaders to first-time microgrid customers seeking product information. The event is expected to draw utilities, energy developers, institutions, engineering and consulting firms, government agencies and non-government organizations, commercial real estate developers, energy service companies, equipment manufacturers, system integrators, control and data specialists, attorneys, financial specialists, innovators and software companies, contractors, builders, architects and planners. Microgrid 2019 will be held at the InterContinental San Diego, a new waterfront luxury hotel in downtown San Diego’s BRIC (Broadway and Pacific Highway) region, within walking distance to some of the city’s most popular restaurants and in close proximity to the airport. Overlooking San Diego Bay, the hotel features ocean-view rooms and terraces. Microgrid Knowledge will be releasing updates in the coming months about registration, speakers, the agenda, venue and special conference programs, such as the Microgrid Financing Connection, a popular program launched at Microgrid 2018 — and to be continued for Microgrid 2019 — that introduces vetted microgrid projects to interested financiers. Track Microgrid 2019 announcements by subscribing to the free Microgrid Knowledge newsletter. For sponsorship information, contact Kevin@MicrogridKnowledge.com, 508-259-8570.